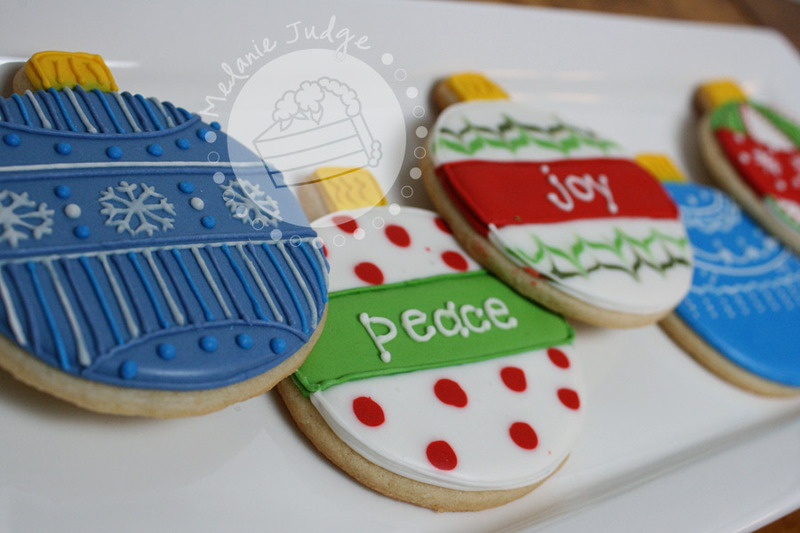 These are some of my favorite cookies that I've included in the 12 Days of Cookies. 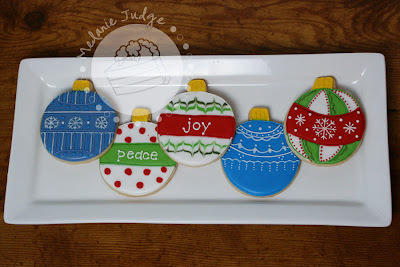 They're simple Christmas ornaments, but each one is different...and so easy to do! For the blue one on the left: Flood the ornament with blue royal icing. Let that dry overnight, and then go back with white and 2 shades of blue royal icing and add the dots, curves, and lines. For the Peace ornament: Flood a rectangle in the center with green royal icing. Then flood the top and bottom sections with white royal icing. 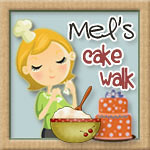 To make the red polka dots, just add them to the white flooded icing while it's still wet! Once the green dries, go back and write "peace." Easy! For the Joy ornament: Use the same technique as the Peace ornament, but drag a toothpick through the flooded icing to get that cool pattern. Then write "joy" after the red icing has dried. 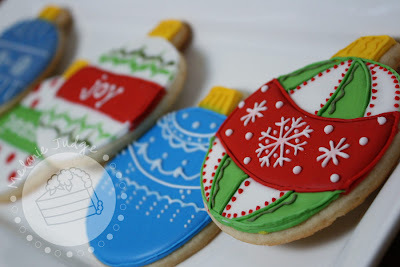 For the blue ornament on the left: Again, flood the ornament with blue royal icing. After it dries overnight, go back with white royal icing and add all the details. For the ornament on the far right: Flood the center portion red. Then, go back and flood sections white and green. Once all the flooded area has dried, just go back and add the details. Need a more detailed tutorial, check out this one on Bake at 350. Dat 12 - Santa is Coming to Town! Day 11 - Reindeer Cookies! Day 7 - Let it Snow Cookie! Zebra & Leopard Print Cookies!